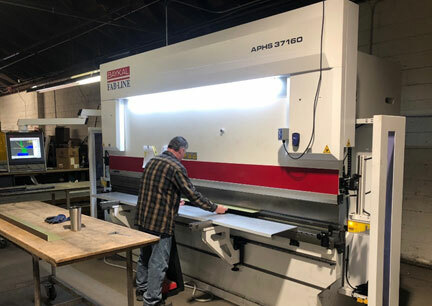 In keeping with our commitment to high quality products and services, Foreman recently upgraded our brake press capabilities. Our new press is a top of the line servo hydraulic press, and we’re excited to have it. The new equipment allows us to provide higher accuracy and precise repeatability on your fabrication products. Our new press can handle up to 1/4” thick steel or more depending on the length, and the bending length is 12 feet. Foreman is the one you can count on for faster turnaround times and a quality product on your press brake items. ONE-OF-A-KIND OR QUANTITY, Foreman can fabricate virtually any metal item you need, customized to your exact specifications. 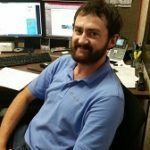 If you have any questions or a metal project we can help with, feel free to give us a call at 314-771-1717, and ask for one of our project managers. 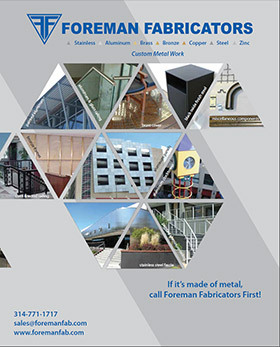 Or email us at sales@foremanfab.com.